The United States Mint's National Baseball Coin Design Competition will close at 12 noon EST on May 11. We hope that you take this opportunity to step up to the plate and take a swing. 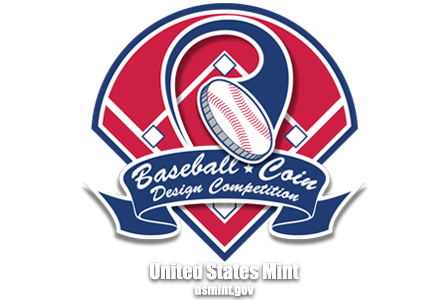 If you are submitting a design after business hours on either Friday night or Saturday morning and have any questions, please post them on the discussion board or email them to baseballcompetition@usmint.treas.gov. If you email Challenge.post, you will not receive a response until after the competition closes as they do not have staff available to respond after business hours. By contacting the United States Mint through the discussion section or email you will receive a response prior to the closing of the competition.